Breast cancer treatment is improving due to the introduction of new drugs, guided by molecular testing of the primary tumour for mutations/oncogenic drivers (e.g. HER2 gene amplification). However, tumour tissue is not always available for molecular analysis, intra-tumoural heterogeneity is common and the “cancer genome” is known to evolve with time, particularly following treatment as resistance develops. After resection, those patients with only residual micrometastases are likely to be cured but those with radiologically detectable overt disease are not. Thus, the discovery of blood test(s) that could (1) alert clinicians to early primary or recurrent disease and (2) monitor response to treatment could impact significantly on mortality. Towards this, we and others have focused on molecular profiling of circulating nucleic acids isolated from plasma, both cell-free DNA (cfDNA) and microRNAs, and the relationship of these to circulating tumour cells (CTCs). This review considers the utility of each as circulating biomarkers in breast cancer with particular emphasis on the bioinformatic tools available to support molecular profiling. David S. Guttery, Kevin Blighe, and Karen Page contributed equally. Sharma, G., Mirza, S., Parshad, R., Gupta, S. D., & Ralhan, R. (2012). 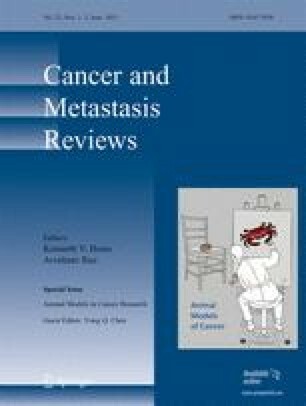 DNA methylation of circulating DNA: a marker for monitoring efficacy of neoadjuvant chemotherapy in breast cancer patients. Tumour Biology. doi: 10.1007/s13277-012-0443-y. Madsen, T. (2007). Multivariate data analysis with PCA, CA and MS. http://www.archaeoinfo.dk/PDF%20files/Multivariate%20data%20analysis.pdf. Accessed 15 Oct 2012.